Inter manager Luciano Spalletti slammed his side's naivety as despite Inter's early dominance, Juventus earned a narrow 1-0 victory in the Derby d'Italia. In a fiercely competitive first half, the Nerazzurri would have felt they had deserved to take a lead into the second half after creating a host of golden opportunities. First, Roberto Gagliardini struck the post after some excellent build-up play around the box, before Ivan Perisic's drilled effort whistled wide of the far post. ​Inter's profligacy cost them dearly after the restart as the Bianconeri's Mario Manduzkic was on hand to convert a Joao Cancelo cross with a diving header and hand ​Juventus all three points. 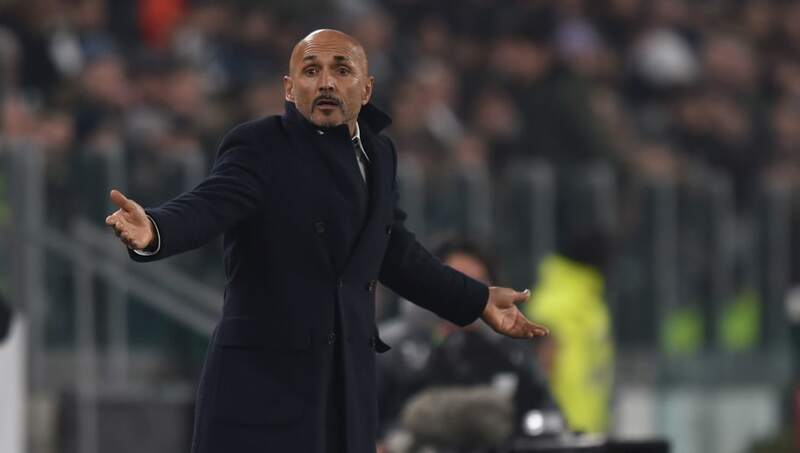 Spalletti later revealed his frustrations at his side's lack of composure in front of goal and criticised his players for struggling to be consistent in their decision-making. That should have been a goal! Speaking to ​Sky Sport Italia, he said (as quoted by ​Goal): "If someone takes the lead, of course it makes the difference, but we made too many banal and cheap errors. "There was one moment where we burst away and got behind their defence, but we failed to get the ball to the forwards. That can make the difference, as we struggle to be consistent for 90 minutes." Spalletti added: "There is always someone who is too slow, who talks too much, who is careless and not on the same page as the others. "Unfortunately, Juve are smart and we are naive. They have a way of wasting five minutes after a foul."